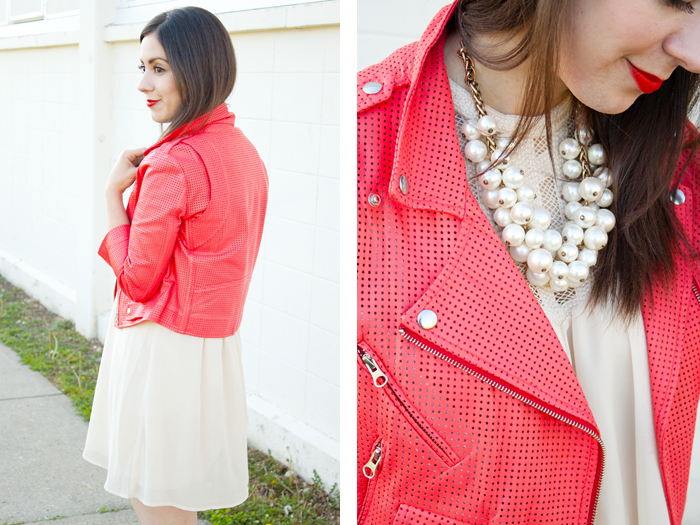 I love bright colours and this leather jacket is amazing! I need something like this in my closet immediately! I also love the way that you paired it with neutrals. It works. I love it!!! I wish I could have a leather jacket in every colour...I absolutely love the style of this one...moto and perforated...too perfect!! That leather jacket is perfect!! 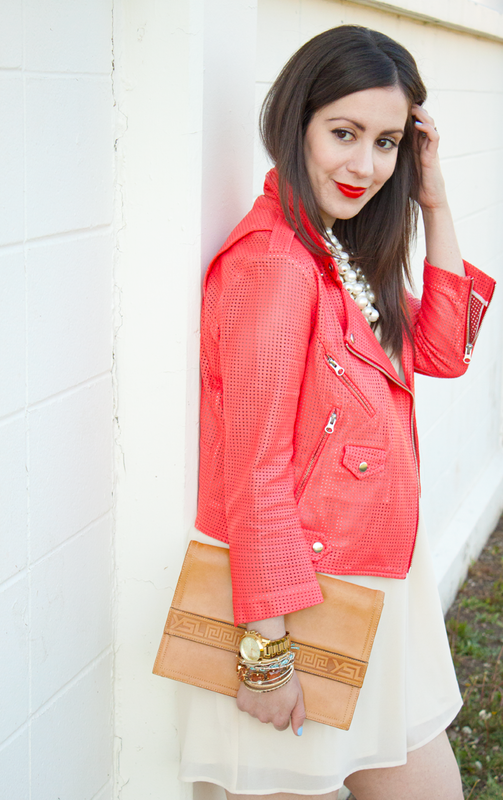 I bought a red leather jacket in Paris and it makes me feel young and bright. 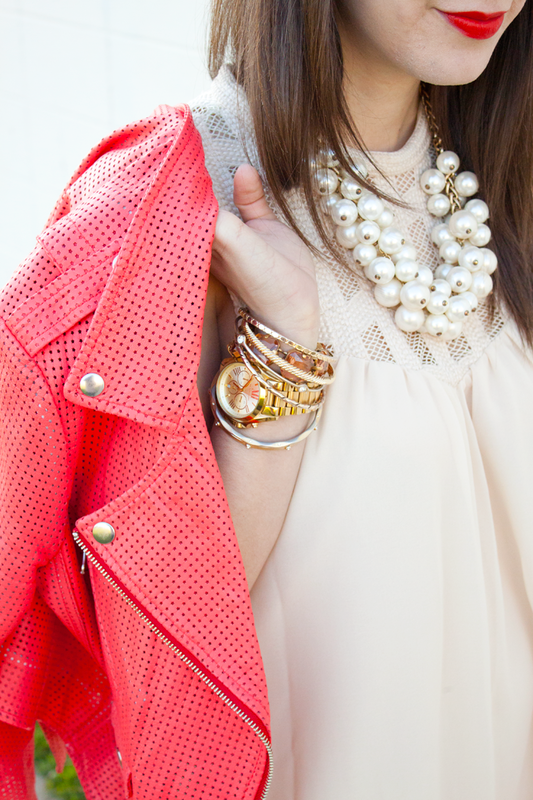 Love that jacket, the coral color is just gorgeous! Love the jacket! It's a lovely color. 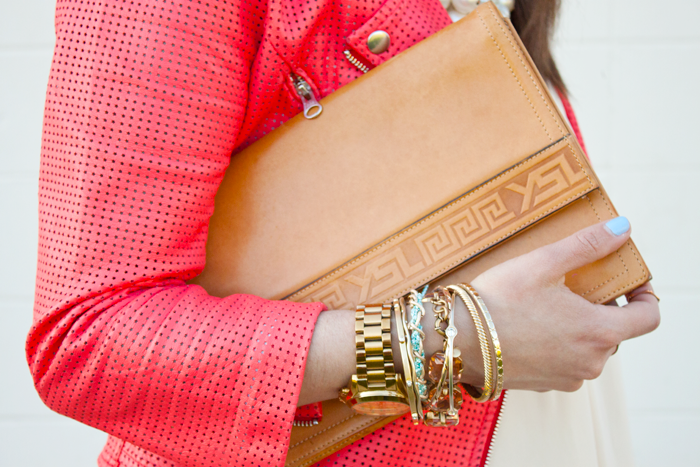 The color is such a fun vibrant color and looks great on you! I'm having a giveaway for Canadian residents in you would like to stop by!